Joey Kendrick is a jazz composer, arranger, and trumpet player currently based in the New York City metro area. He is finishing his Master’s degree in Jazz Arranging at William Paterson University in Wayne, NJ, where he studies with Jim McNeely, Pete McGuinness, Cecil Bridgewater, Kevin Norton, and Rich Perry. Joey received his Bachelor’s of Music with honors from the prestigious Jacobs School of Music at Indiana University. While at the Jacobs School, Joey studied under Pat Harbison, Brent Wallarab, and David Baker. Joey’s compositions and arrangements have been performed by many small and large ensembles across the country. His recent works include numerous arrangements and original compositions for septet, as well as several big band works. In January 2016, he completed the six-movement Suite for Jazz Ensemble, a programmatic work inspired by German classical music. The Suite, along with other work during Joey’s final year at IU, earned him the BMI Foundation’s 1st Annual David N. Baker Jazz Composition Scholarship. Joey was born in raised in the suburbs of Kansas City, where the vibrant jazz scene provided a fertile ground for his artistic development. He began his musical career as a trumpet student, but his interests quickly turned to composition. 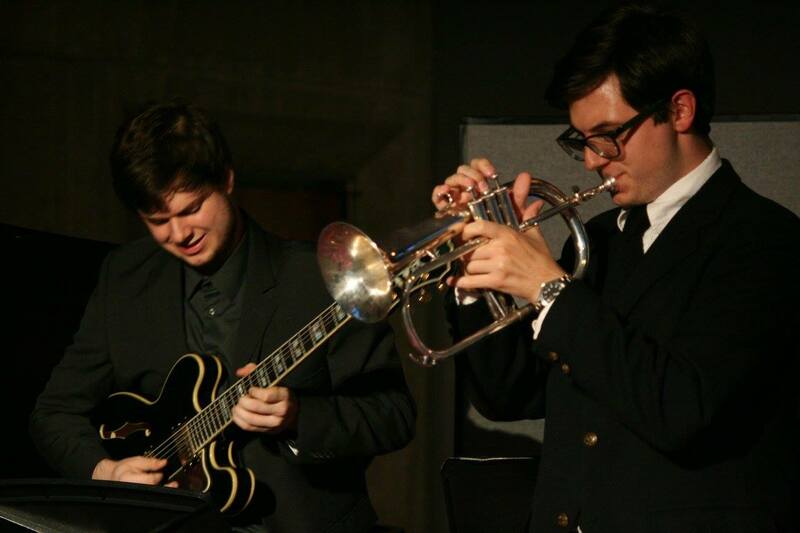 In 2009, at the age of 14, Joey premiered his first jazz composition with his middle school’s jazz ensemble. Since then, Joey has continued to refine his writing abilities, penning multiple charts for jazz ensembles of all shapes and sizes.